Coloring books for anxiety are amazing tools that help you channel negative energy, relieve stress, and lessen feelings of anxiety. In other words, this article reveals the 5 best adult coloring books that specifically help people with anxiety. What are anxiety coloring books? Anxiety coloring books are coloring books that help soothe and heal people with anxiety. There are many kinds of coloring books for people with anxiety. No matter what type of designs you like to color – you’ll find a coloring book in this article that lessens your feelings of anxiety. Coloring is just like dancing, laughing or chit-chatting with friends. It’s something that you do to free your mind from the stresses and anxieties of everyday life. There’s no end-goal when it comes to coloring for anxiety. It’s purely a therapeutic activity that heals and soothes you. By now, you hopefully have a brief understanding of what anxiety coloring books are, and why they’re so beneficial. 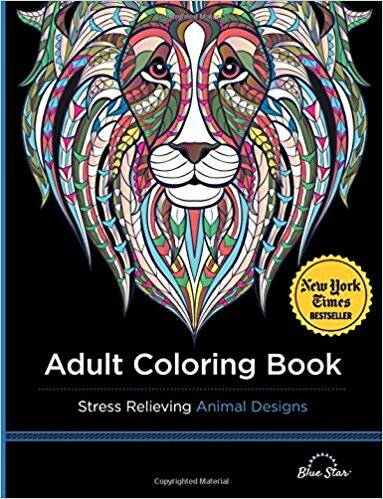 Adult Coloring Book: Stress Relieving Animal Designs (Amazon) is a best-selling coloring book that features beautiful animal designs. This book has over 40 animal patterns, and features animals like cats, dogs, birds, sea life, and more. If you like animals (don’t we all), and want a “proven” adult coloring book that thousands of people absolutely love – this is probably going to be the one for you. 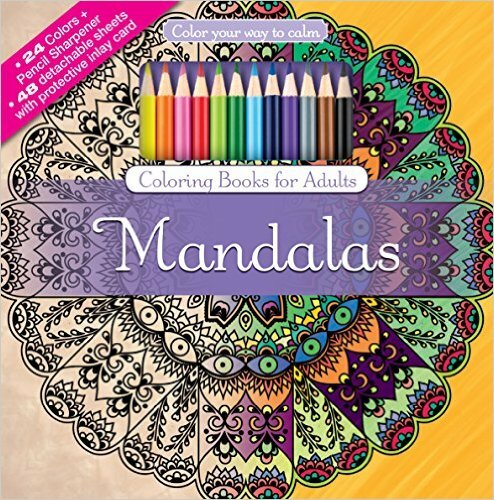 The Mandalas Adult Coloring Book Set With Colored Pencils (Amazon) is a really nice coloring book kit, because it includes everything that you need to get started coloring immediately. In case you aren’t familiar with mandalas, they are spiritual symbols used in Hinduism and Buddhism to represent the universe. Interestingly, mandalas are often used in Buddhist tantra to help with meditation. The key takeaway here is that mandalas not only look beautiful – but are also believed to have a spiritual healing essence. Secret Garden: An Inky Treasure Hunt and Coloring Book (Amazon) is thought to be responsible for kicking off the adult coloring book trend in America. This is a book that has sold over 11 million copies worldwide – so you know it’s a good one! 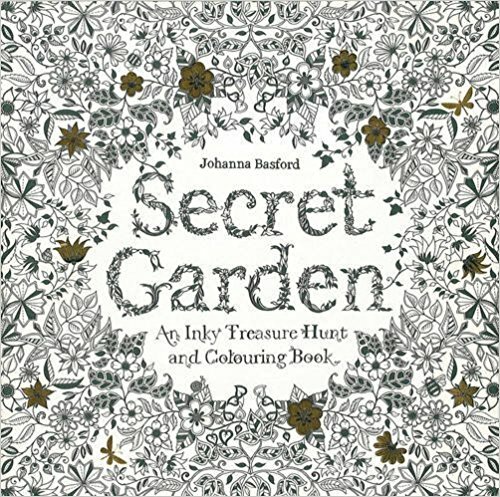 Johanna Basford, who is the author of Secret Garden, grew up on a rural fish farm in Scotland. So, many of her designs contain plants, animals, and other critters that you’d normally find in the countryside. 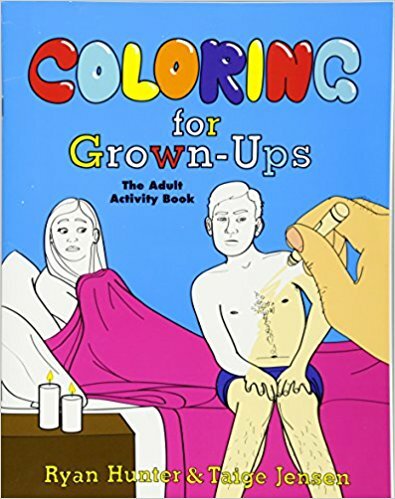 Coloring for Grown-Ups: The Adult Activity Book (Amazon) is a hilarious adult coloring book that makes light of the struggle that millions of Americans face on a day-to-day basis. Because oftentimes, you have to be able to laugh at yourself in order to stay sane. And that’s why this coloring book helps you find humor in drug addiction, expensive education, toxic relationships, and even hipster clothing. This coloring books makes for an especially great gift for yourself, or for someone else. Tropical World: A Coloring Book Adventure (Amazon) is perfect for anxiety sufferers who need a little pick-me-up in life. 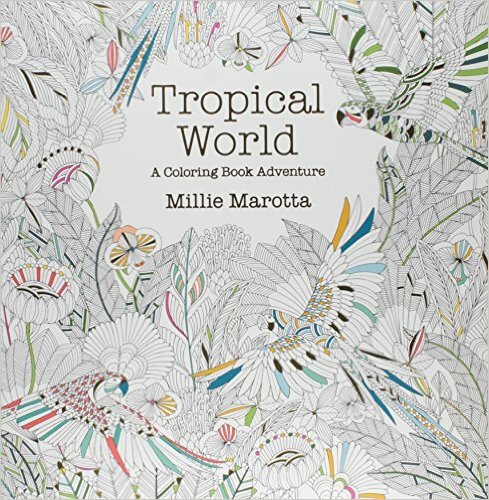 This coloring book features palm trees, rain forests, parrots, and similar exotic scenery. After coloring this book’s many illustrations and pages, you’ll be left with your own vibrant wonderland that you created. Overall, coloring in anxiety coloring books is essentially a form of meditation that can help you stop racing thoughts, and treat your ADHD or anxiety naturally. It’s just like therapy for your mind and soul. So, make sure to pick up a good anxiety coloring book today, and enjoy healthy, natural stress relief any time you like.